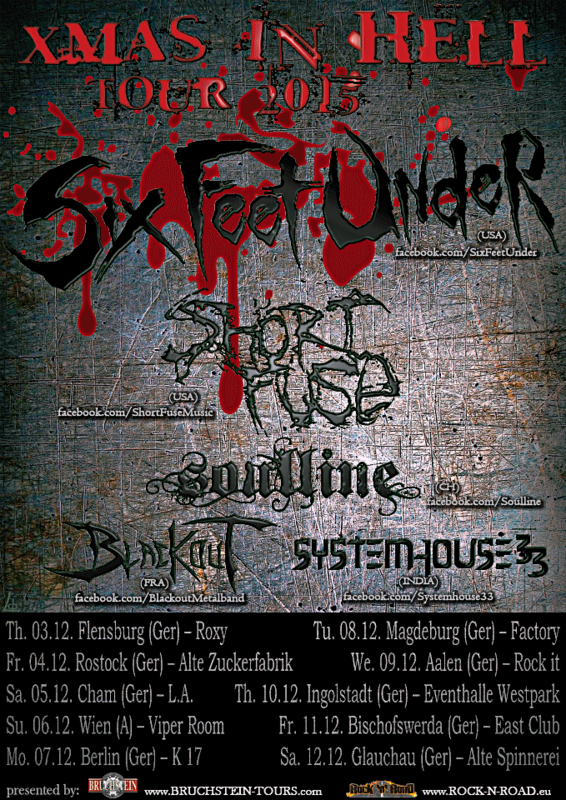 Indian metal is going places as SystemHouse33 to support Six Feet Under on European tour. Short Fuse (USA), Soul Line (CH) and Blackout (France) are the other supporting acts. 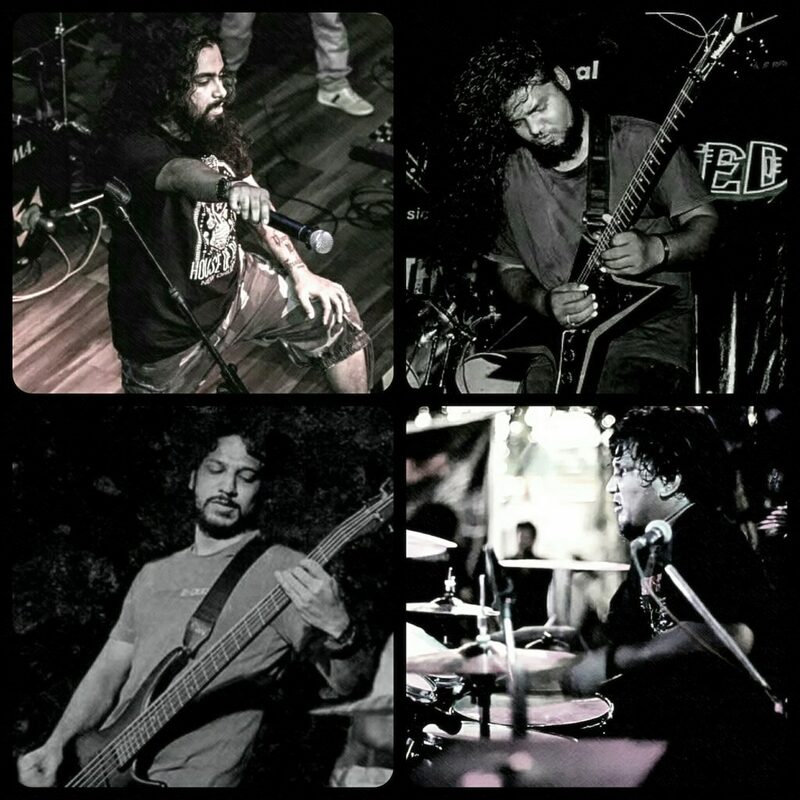 Founding member Samron Jude, bassist Leon, guitarist Jack and Zygnema’s Mayank (in place of drummer Atish Thomas who has some prior commitments) will be joining the band on the European tour. Talking about the tour which will see an Indian band support a metal giant on their very own tour, frontman Samron Jude says, “We are very excited that SystemHouse33 will be taking Indian metal to places and what a better way than to open for Chris Barnes and Six Feet Under, one of the biggest death metal acts around and that to on their Xmas in Hell tour!”. Jude added,” Our man Atish won’t be on this tour due to other commitments, but we have Mayank from Zygnema who will be joining us on drum duties, so it’s going to be crazy”. For now, SystemHouse33 is currently in the studio completing their 5th album Regression which is set to release in a few weeks. Rolling Stone India made the official announcement on their site. Read it all here. Samron Jude and SystemHouse33 complete another year!